Blackbrush acacia's light bark and rich dark green foliage are an attractive combination, providing a beautiful contrast in its native Rio Grande Plains where it is abundant. 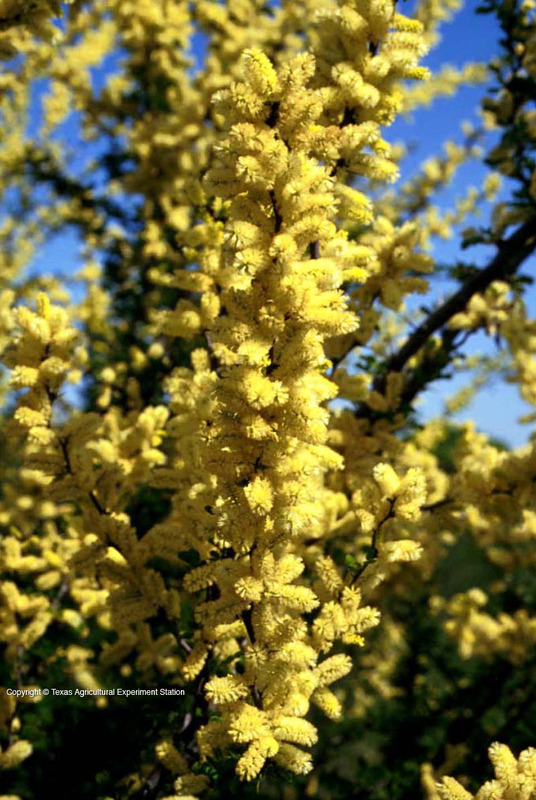 Its natural shrubby form can be shaped into a tree, but it will then need training when it's young. 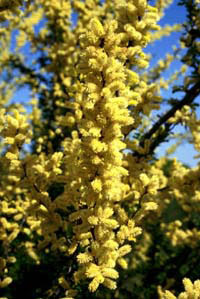 Large pale to golden yellow flower spikes appear in the spring, from which slender 3-inch long pods develop. 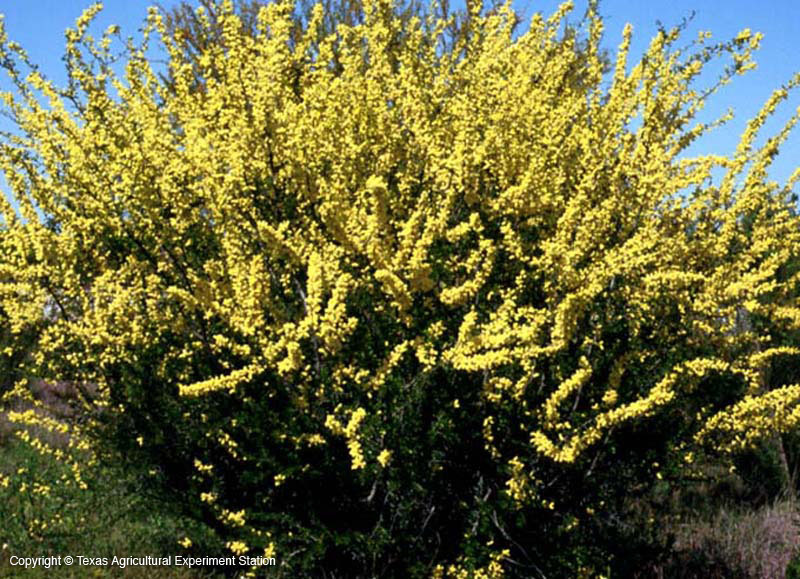 Its branches have thorns, making it useful as a barrier plant and not desirable near pedestrian areas. It grows on limestone hillsides and canyons, but is adaptable to many soil types, even caliche, although it prefers good drainage. Blackbrush acacia grows slowly. It is hardy to around 20 degrees F.